Brenton Daw, Service Leader of Yooralla’s Wangaratta Community Hub, said the team sprang into action as soon as they learnt that working in radio was Josh’s life-long passion. Going into his NDIS planning meeting, Josh knew exactly what his main goal would be in his NDIS plan – to become a radio DJ. What he didn’t know is that, with Yooralla’s support, he would be hosting his own radio show within just weeks. “Growing up, music was a big part of my life and working in radio was my biggest dream. I still can’t believe I have this job,” said Josh, 21, who attends Yooralla’s Wangaratta Community Hub five days a week. Supported by a Yooralla Disability Support Worker, Josh now hosts a weekly program on 101.3 Oak FM in Wangaratta, called Josh’s Jukebox. It broadcasts live every Monday from 12pm till 2pm. “We work with all our customers to make sure they make the most of the NDIS, from preparing for, and attending their NDIS meetings, through to implementing their plans and supporting them to achieve their goals,” he said. Brenton said that Yooralla supported Josh all through his NDIS journey from the very beginning, as he joined the Hub before transitioning to the NDIS. “We understood Josh’s interests and aspirations, which meant we could work with him to develop his NDIS goals and the supports needed to achieve these goals,” he said. 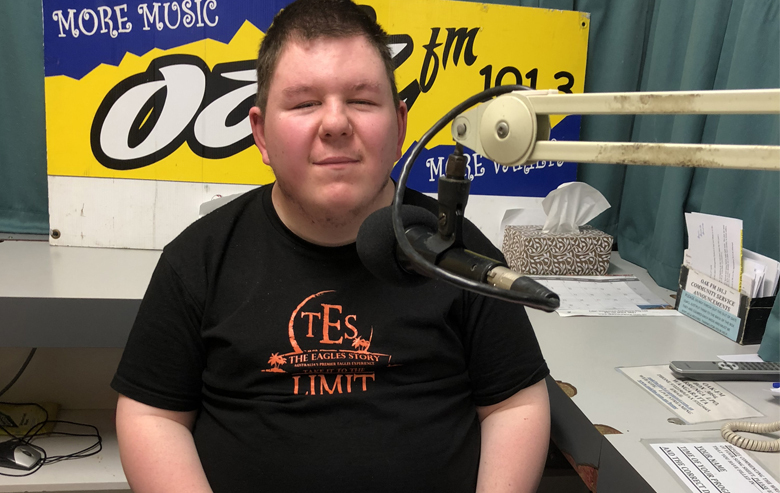 A Yooralla staff member attended Josh’s NDIS meeting to support him, and as soon as his NDIS plan was approved, the team at the Hub started researching local radio opportunities for Josh. Tamara Walker, a Yooralla Disability Support Worker, who is funded through Josh’s NDIS plan to support him one-on-one to host his radio show, said the Yooralla team celebrated with a morning tea in his honour when he secured the radio opportunity. “He loves doing the radio and he is so good at it already, and really looks forward to doing it every week. He was first supported by the station’s newsreaders to do his segment and now he does his shows on his own, with minimal support from me. Josh is now training to do what they call the panel, so in the future he can host his show totally independently,” she said. Yooralla has Community Hubs across Victoria, where adults with disability can receive the support they require, meet new friends and get out in their local community, all while learning new skills. The Wangaratta Community Hub is located at 2 Park Lane, Wangaratta. 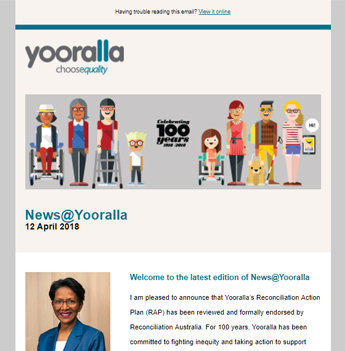 Find out more about how Yooralla can support people with disability through their NDIS journey.